Flashy footwear aids the fight against childhood cancer. 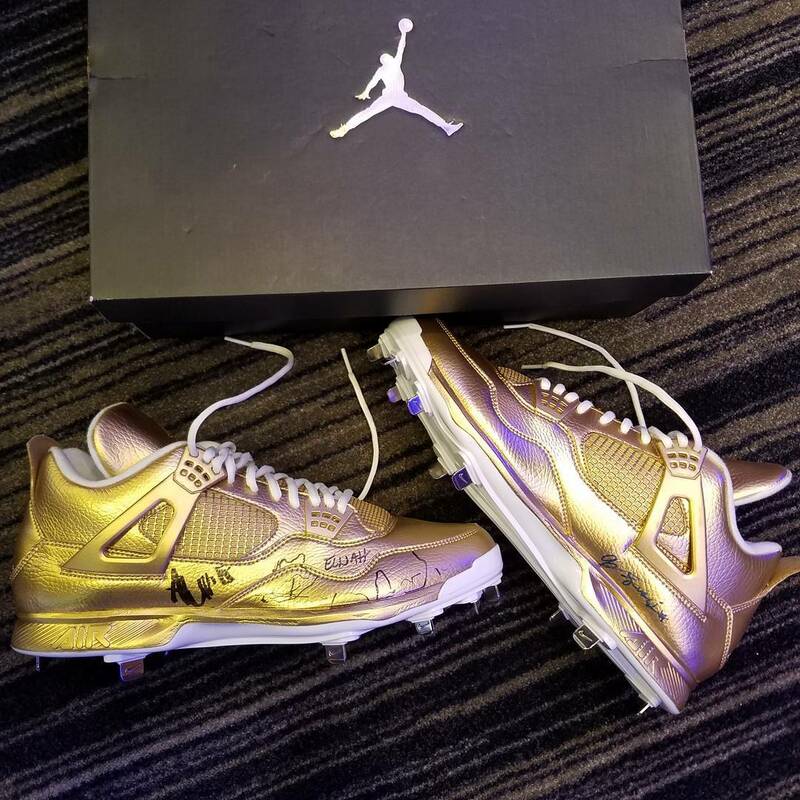 As Major League Baseball observes Childhood Cancer Awareness Day today, Jordan Brand is lacing up its athletes in special cleats for the occasion. 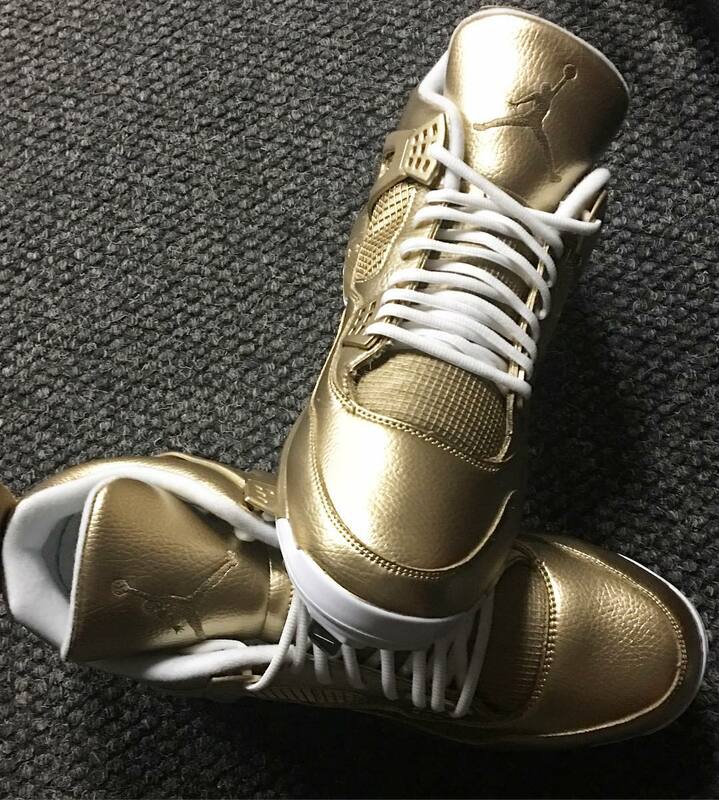 Moments ago, Washington Nationals pitcher Gio Gonzalez shared a photo of all-gold Air Jordan 4 cleats, in line with a league-wide initiative calling for players, coaches, umpires and grounds workers will wear gold gear to promote awareness for childhood cancer. September is also officially Childhood Cancer Awareness Month. 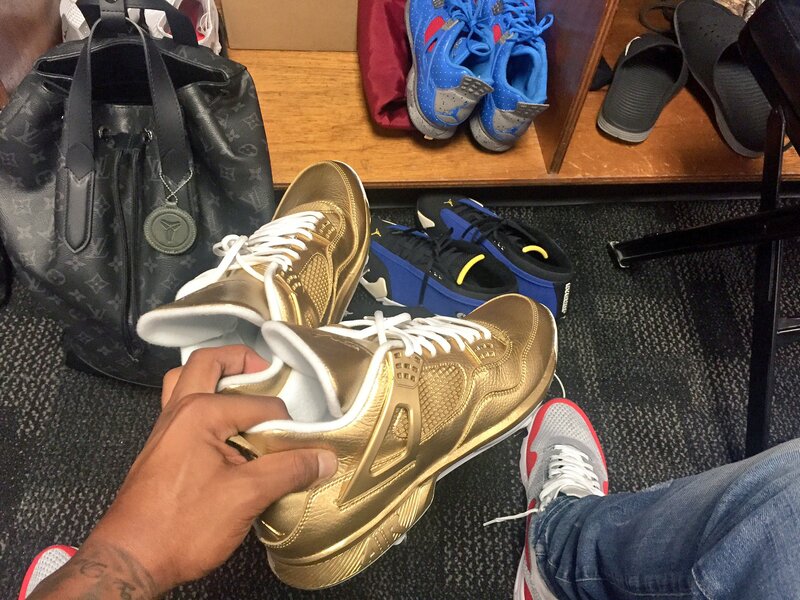 UPDATE: More golden Air Jordan cleats for Jordan Brand athletes C.C. Sabathia, Dexter Fowler and Marcus Stroman. Fowler had a few of the patients he visits with sign his pair, while Sabathia will be shipping his pair to a young fan battling cancer.